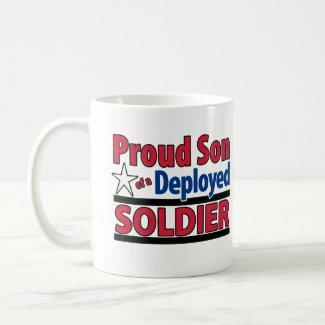 Here is a coffee mug for the son’s of our deployed troops. Ok, so a lot of the sons I know are under 5 but hey…it’s hot chocolate season, right?? LOL And if you are like me, these are the type of thing you end up sticking in the china cabinet as a decoration…just use a sharpie to write when you got it on the bottom and who it was for and it becomes a keepsake for your son that he can show his kids someday.